Over 100 stickers, a cuddly spider and lots of new things to try. Go on, have fun! There’s no cuter spider in the world than adorable Woolly. And the smash-hit Woolly and Tig series on CBeebies is every bit as sweet. Enjoy all the fun of the show in your home and garden with heaps of stickers and activities: just right for hours of play. There’s so much to look at and learn about, from splashing in the pool to playing games at birthday parties. Don’t worry if you think new things can be a bit scary. 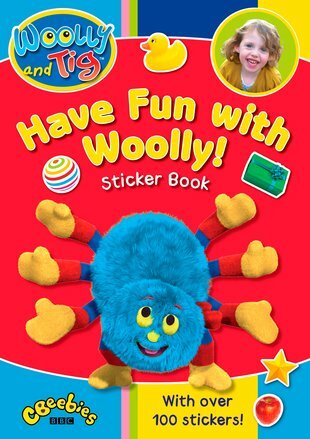 Woolly and Tig will make sure you enjoy yourself.